Repairing and maintaining your car regularly helps to avoid any mechanical problems and keeps the resale value high.But don’t be fooled into thinking you have to go to a main dealer to get great quality car repairs in Bradford, Bingley, Baildon and Shipley. 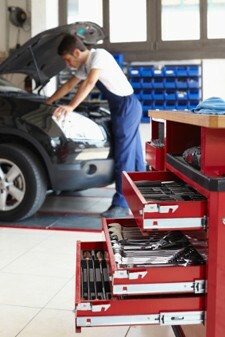 At Drive in Service Centre we specialise in car repairs. It's our mission to get you to stop paying the high prices charged by other garages because we can provide the same level of service and high quality parts at a fraction of the cost. As well as provide all aspects of mechanical servicing and repairs to your car's engine. Our prices are hard to beat. Since the business was started in 1983, we have made it our job to offer the people of Bradford the best deal possible when doing repairs to their cars – without compromising on quality. Try us, you’ll save a fortune! Call us today on Bradford 01274 794991 and ask about our great car repairs service and excellent prices.